Dedicated citizens across Alberta will gather this morning in town halls and community centres to submit their nomination forms to become official candidates in this year’s municipal elections. In the capital city, the excitement is taking place at Edmonton’s downtown City Hall. With three-term Mayor Stephen Mandel not seeking re-election, three Councillors and a handful of other Edmontonians have stepped forward to fill the spot. While Don Iveson, Kerry Diotte and Karen Leibovici are the front-runners in the race, there is always the possibility of a dark-horse candidate stepping out of the shadows and jumping into the mayoral contest today. 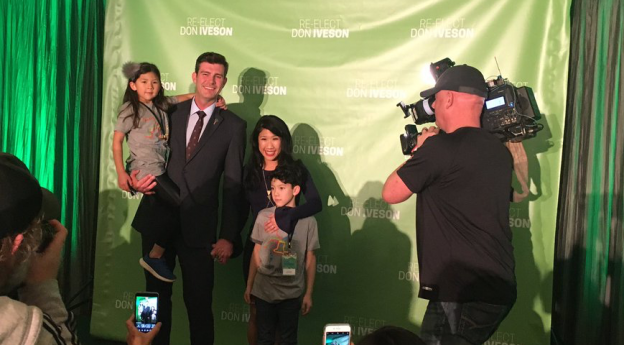 UPDATE: The Edmonton Journal is reporting on the results of a Leger survey which shows Don Iveson with 47% of decided voters, Kerry Diotte with 28%, and Karen Leibovici with the support of 25% of decided voters. 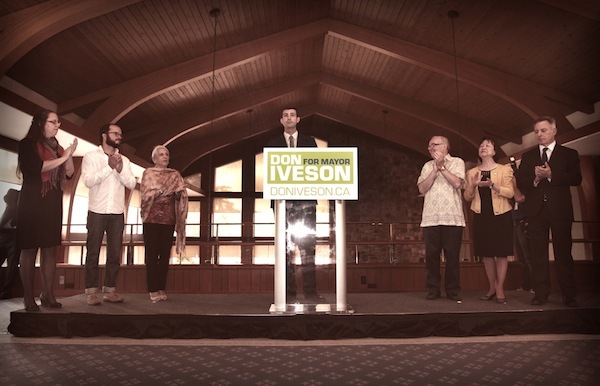 When taking undecided voters into account, the support is 20% for Councillor Iveson, 12% for Councillor Diotte, and 11% for Councillor Leibovici. While this is only one poll, and I look at all polls with skepticism, I am very surprised at how low Councillor Leibovici’s support is, considering her 20 year career as a politician in Edmonton. Since early this year, I have maintained a list of declared nomination candidates for Council and the Public and Catholic school boards. I will have the list updated later today when the official list is released by Edmonton Elections. There will be a few familiar faces missing from the ballot on the October 21 voting day. Six Councillors are not seeking re-election in their Wards. While this is a large turnover, it is not uncommon in recent elections. The last time Council faced such a significant turnover was in 2001, when six Councillors did not seek re-election. Until this weekend it appeared as if Councillors Ben Henderson in Ward 8 and Amarjeet Sohi in Ward 12 would be acclaimed, but last-minute candidates have announced their intentions to challenges these incumbents. In Ward 9, Councillor Bryan Anderson remains unchallenged. 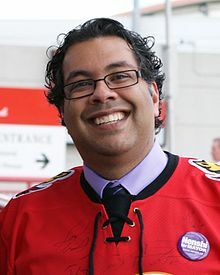 If he remains unchallenged today, it will be the first time in recent memory that a City Councillor in Edmonton has been acclaimed. Tune in to a special Nomination Day #yegvote Google Hangout tonight at 8:00 p.m. at EdmontonPolitics.com. Mack Male, Ryan Hastman and I will run down the list of candidates and give our analysis of the first official day of the election campaign. Municipal elections in Alberta are being held on October 21, 2013. This entry was posted in Alberta Politics and tagged Amarjeet Sohi, Ben Henderson, Bryan Anderson, Don Iveson, Karen Leibovici, Kerry Diotte, Mack Male, Ryan Hastman, Stephen Mandel on September 23, 2013 by Dave Cournoyer. On last night’s #yegvote Google Hangout, the third in our series, Ryan Hastman, Mack Male, and I were joined by Aliza Dadani from the group ActivatED. 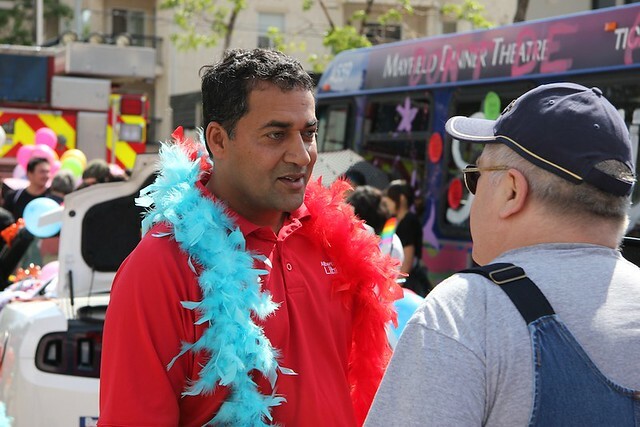 According to their website, “ActivatED is committed to electing forward-thinking progressive councillors in the 2013 Edmonton Municipal Election.” Endorsing candidates can be a messy business and ActivatED is already ruffling some feathers in Edmonton’s 2013 election season. The group has already endorsed Linda Sloan in Ward 1, David Dodge in Ward 3, Dave Colburn in Ward 7, Ben Henderson in Ward 8, and Amarjeet Sohi in Ward 12. Thank you to Ms. Dadani for joining us on the hangout and articulately explaining her group’s raison-d’être and decision making process. You can watch the hangout in the embed above and at EdmontonPolitics.com. There are numerous additions to the unofficial list of Edmonton election candidates. Many of the additions are in Downtown Edmonton’s Ward 6, where 12 candidates have now declared their intention to run in the ward being vacated by Councillor Jane Batty, the most of any race in the city. 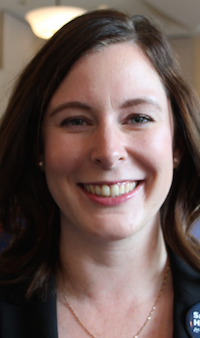 New mayoral candidate Kristine Acielo thinks the proposed downtown arena is not big enough and 2012 Evergreen Party Senate candidate Elizabeth Johannson is challenging former New Democrat MLA Ray Martin in the Public School Board’s Ward D.
If you have any additions to the unofficial list of declared candidates, please let me know. 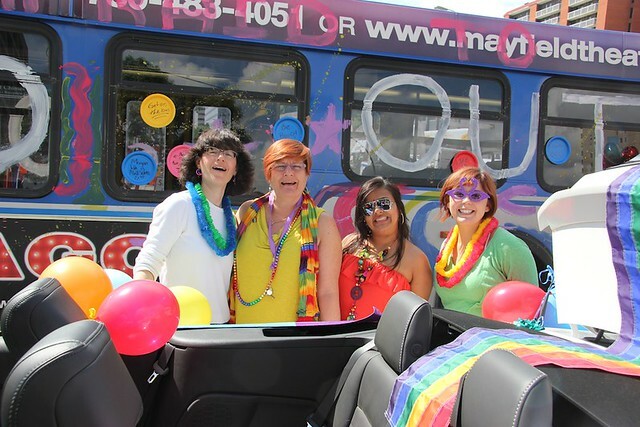 This entry was posted in Alberta Politics and tagged Aliza Dadani, Amarjeet Sohi, Ben Henderson, Dave Colburn, David Dodge, Elizabeth Johannson, Kristine Acielo, Linda Sloan, Mack Male, Ray Martin, Ryan Hastman on August 16, 2013 by Dave Cournoyer. 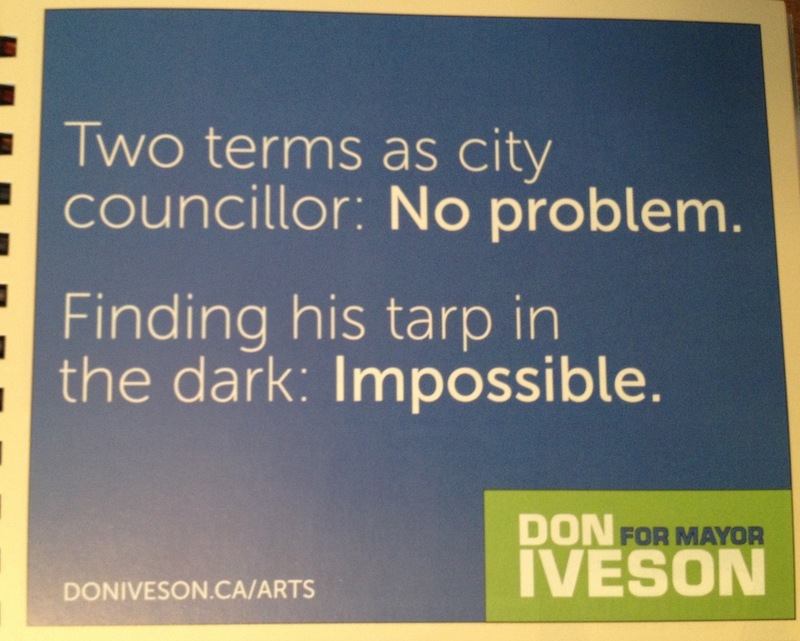 Mayoral candidate Don Iveson’s ad in this year’s Edmonton Folk Music Festival program guide. For this political junkie, one of the small highlights of attending Edmonton’s Folk Music Festival each year is flipping through the $5 programme book to sneak a look at the political ads placed in the programme guide. The political ads are always from politicians sitting in the political centre or left and the best ones are framed with a silly Folk Fest theme. Considering a large portion of the 20,000-30,000 people attending the annual Folk Fest are probably Conservative voters (this is Alberta, after all), I remain surprised why conservative politicians appear reluctant to support the annual festival programme. Like their always entertaining mock videos at the annual Legislature Press Gallery Christmas party, the Alberta NDP Caucus excels in this category (see below for this year’s entry, which was taken from last year’s entry), but this year there is some competition. The program ad from Councillor Don Iveson, running for Mayor in the October elections, includes something that all Folk Fest attendees can relate to. An ad from Ward 8 Councillor Ben Henderson, who represents the area on City Council, is included in the programme book. Even the federal Liberals have an ad – albeit with a serious and not funny message from leader Justin Trudeau. 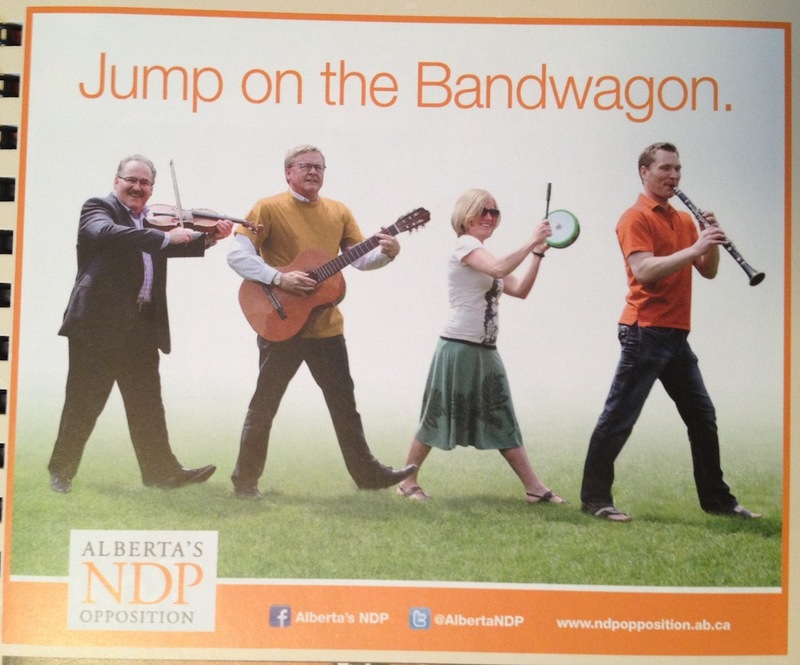 The Alberta NDP Caucus ad in this year’s Edmonton Folk Music Festival program guide. 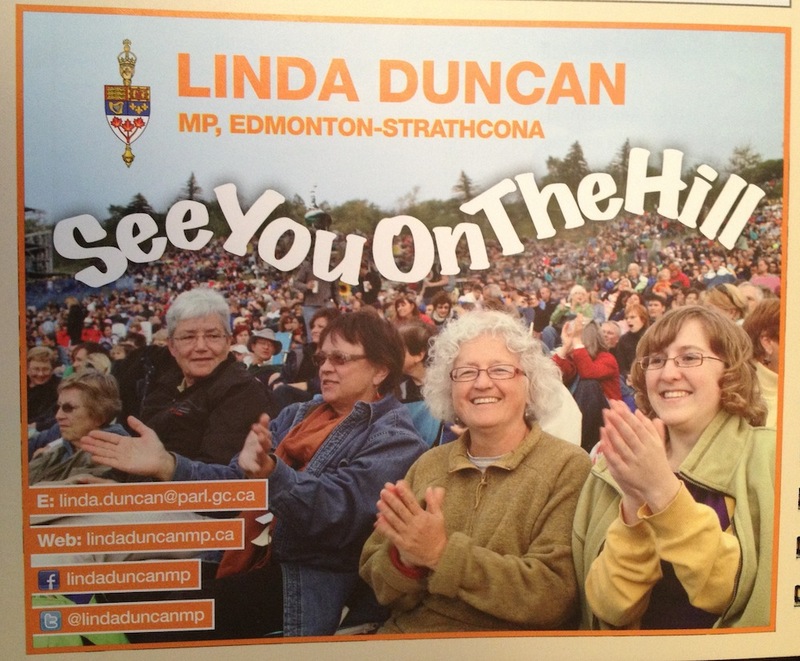 And Edmonton-Strathcona MP Linda Duncan, who represents the neighbourhood in which the Folk Fest is held, has her ad. New Democrat Member of Parliament Linda Duncan’s ad in this year’s Edmonton Folk Music Festival program guide. This entry was posted in Alberta Politics and tagged Ben Henderson, Brian Mason, David Eggen, Deron Bilous, Don Iveson, Justin Trudeau, Linda Duncan, Rachel Notley on August 9, 2013 by Dave Cournoyer. 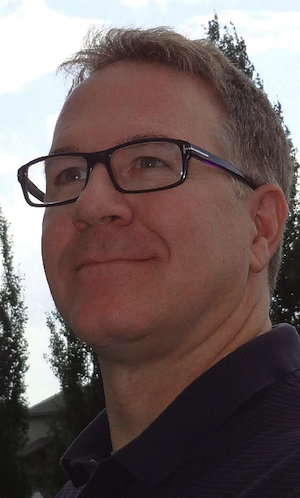 Jim Gibbon, the founder and president of Amber’s Brewing Company, announced this week that he will run for City Council in west Edmonton’s Ward 5. Speaking over the phone this week, the owner of the popular local craft beer company explained his reasons for wanting to run in the October 21 elections. Last year, Amber’s Brewing was forced to find a new location because of a sharp rise in rent at its former location in the Ritchie neighbourhood in south central Edmonton. Mr. Gibbon looked for a new location in Edmonton and enlisted the help of Ward 8 City Councillor Ben Henderson, who he described as being a great help. But after meeting with city staff, who proved to be less helpful in responding to his requests to rezone a potential new location for the brewery, which could have included Petrolia Mall, he decided to look outside Edmonton. According to Mr. Gibbon, city staff told him it would take 18 months to properly rezone a new location, which was an unrealistic time frame for the local business to wait to find a new home. After inquiring with the City of Calgary, who told him they could quickly rezone a space for his brewery if he moved south, Mr. Gibbon told me he looked north to the City of St. Albert, where Amber’s is now brewed in a brewery owned by the Hog’s Head Brewing Company. 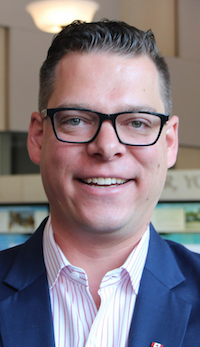 “We chase business out,” said Mr. Gibbon, who wants to make the city more friendly and flexible to local entrepreneurs who want to lay down roots in Edmonton. 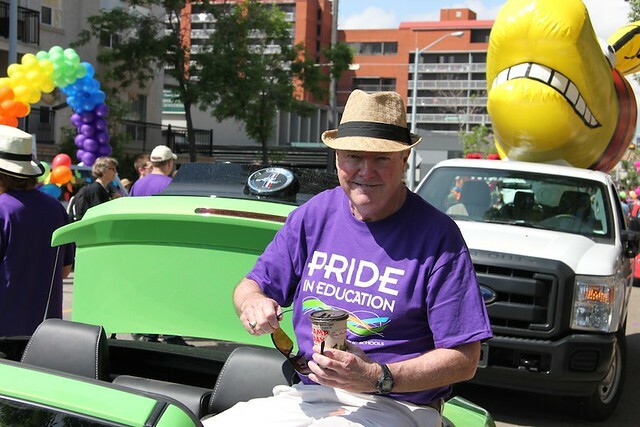 Not just a simple beer man, Mr. Gibbon is a director of Edmonton’s Heritage Festival and holds a Masters in Business Administration, Bachelor of Arts and Bachelor of Sciences from the University of Alberta. Mr. Gibbon is the nephew grandson of Ray Gibbon, who served as mayor of St. Albert from 1968 to 1974 and as interim mayor in 1989. 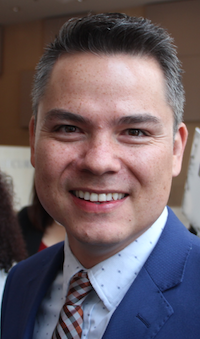 In Ward 5, Mr. Gibbon faces five other declared candidates: former Catholic school trustee Rudy Arcilla, past provincial Liberal Party candidate Arif Khan, former city council executive assistant Terry Demers, Dan St. Pierre, and Michael Oshry. Ward 5 is currently represented by Councillor Karen Leibovici, who is running for mayor. This entry was posted in Alberta Politics and tagged Arif Khan, Ben Henderson, Dan St. Pierre, Jim Gibbon, Karen Leibovici, Michael Oshry, Rudy Arcilla, Terry Demers on July 13, 2013 by Dave Cournoyer. Funding Edmonton’s Downtown Arena, the strange comedy of errors continues. The strange comedy of errors that has become Edmonton’s Downtown Arena project continued this week as City Council scrambled to fill a $100 million gap in a funding plan they approved months ago. 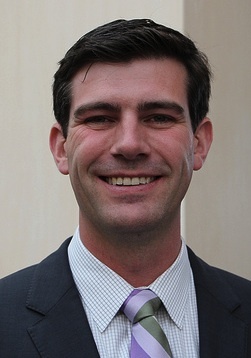 In a display of common sense against what has become Mayor Mandel’s increasingly embarrassing obsession, five Councillors – Don Iveson, Ben Henderson, Linda Sloan, Kerry Diotte, and Tony Caterina – voted against the motion to dedicate future Municipal Sustainability Initiative funds to the proposed Arena. 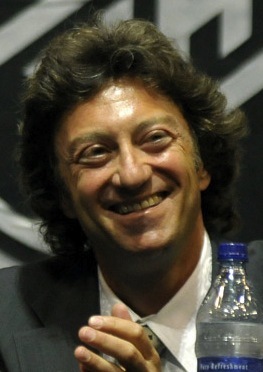 Problematic for many reasons, this decision still leaves a $55 million gap in funding and Daryl Katz – the billionaire owner of the Edmonton Oilers – said he is not interested in renegotiating the financial arrangement agreed to months ago. Mayor Mandel claims this loan will convince the provincial to fill a smaller $55 million funding gap – something the province has said it has no interest in doing. The Municipal Sustainability Initiative was created by Premier Ed Stelmach’s government in 2007 to provide funding to municipalities for public infrastructure projects. Municipalities have discretion over how this provincial money is spent and they have typically been used to fund public transit, libraries, community halls and utility infrastructure. Using these funds to build a new hockey arena to house a privately-owned business like the Edmonton Oilers would use funds that could be used for other much-needed community infrastructure projects. A concern for City Councillors should be that, like all funding transfers from other levels of government, there is no assurance that the Municipal Sustainability Initiative will exist over the next twenty-years. 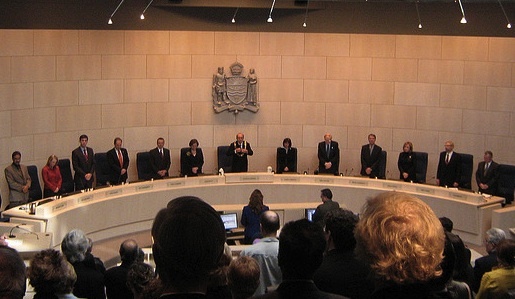 Its continued existence is based on three factors the City of Edmonton has no control over: population growth, provincial revenue, and the continued desire of provincial politicians to continue the program. Will the provincial government change its tune and provide $55 million in direct funding? Not very likely. 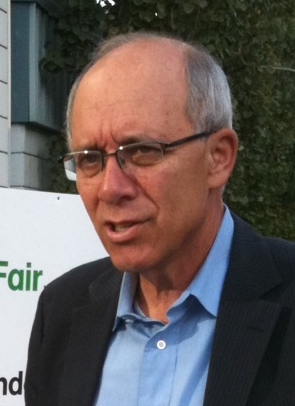 Mayor Mandel’s warpath against post-secondary funding cuts will have left many already unsympathetic provincial politicians now even less-willing to contribute to the project. Also problematic for the provincial government is the ongoing is the investigation by Alberta’s Chief Elections Officer into allegations that Mr. Katz violated the Elections Finances Act by donating more than $400,000 to the Progressive Conservative Party in the 2012 provincial election (the individual donation limit is $30,000). This entry was posted in Alberta Politics and tagged Alison Redford, Ben Henderson, Daryl Katz, Don Iveson, Doug Griffiths, Doug Horner, Ed Stelmach, Kerry Diotte, Linda Sloan, Paula Simons, Stephen Mandel, Tony Caterina on April 12, 2013 by Dave Cournoyer. 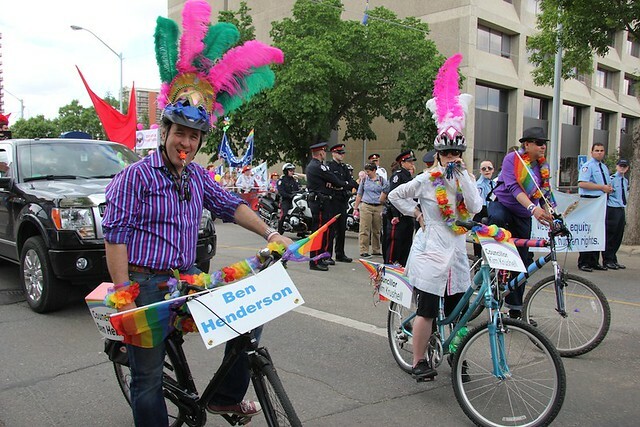 photos: politicians in edmonton’s pride parade 2012. 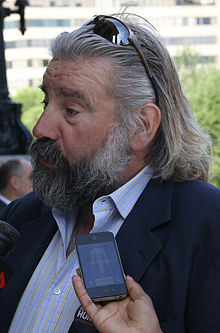 Dave Colburn, chair of Edmonton's Public School Board. 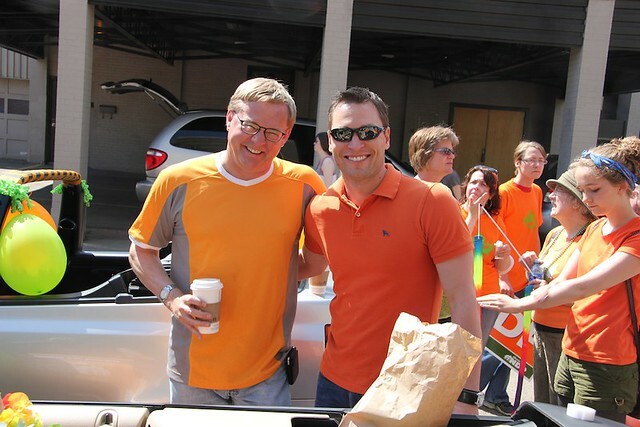 NDP MLA's David Eggen and Deron Bilous. Edmonton City Councillors Ben Henderson, Kim Krushell, and Dave Loken. 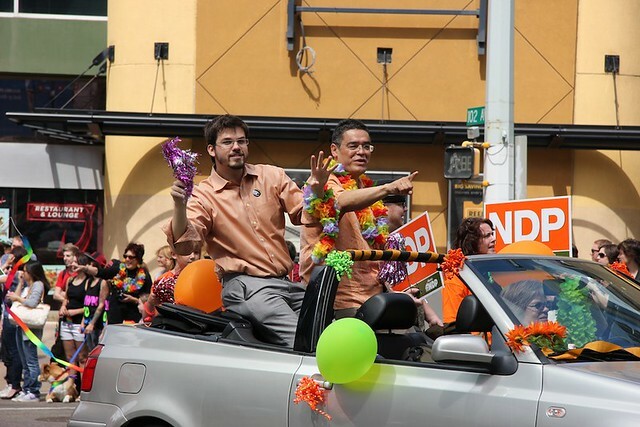 Quebec NDP MP Dany Morin and former Edmonton candidate Lewis Cardinal. This entry was posted in Alberta Politics and tagged Ben Henderson, Dany Morin, Dave Colburn, Dave Loken, David Eggen, Deron Bilous, Kim Krushell, Laurie Blakeman, Lewis Cardinal, Raj Sherman on June 9, 2012 by Dave Cournoyer. josipa petrunic – the liberal party’s next great hope in edmonton-gold bar? If there was a Liberal Party heartland in Alberta, it would be located in the boundaries of Edmonton-Gold Bar. The east central Edmonton constituency is the longest Liberal held constituency in the province, having elected Liberal MLAs since the 1986 election. Represented by popular Alderman Bettie Hewes from 1986 until 1997, Gold Bar’s current MLA Hugh MacDonald was first elected in 1997. Some call him salt of the earth, others may call him obsessed, but over his 14 years in office Mr. MacDonald has undoubtably been one of the hardest working MLAs in the opposition benches. Last month, Mr. MacDonald announced that he would be retiring from politics when the next election is called. The big question is who will succeed Mr. MacDonald. While the chatting class has quietly chitted and chatted about big name long-shot candidates like Councillor Ben Henderson or former AUPE President Dan MacLennan, the chatterers had kept their voices low until an odd choice and potential star candidate recently declared her intentions to join the contest. Currently residing in Cambridge, UK to complete a research fellowship, Josipa Petrunic is planning to seek the Liberal Party nomination in Gold Bar. Incredibly articulate and well-spoken, Ms. Petrunic chaired the recent Liberal Party leadership contest that saw former PC MLA Raj Sherman defeat Mr. MacDonald. As moderator at the leadership candidate forums Ms. Petrunic was many times the most impressive person on the stage. This rallying cry may become familiar to voters in Gold Bar if Ms. Petrunic wins her party’s nomination. The truth is that while she lived abroad, Calgary was her family’s home. When contacted by email, Ms. Petrunic was quick to certify her connection to Edmonton, calling Gold Bar a community that she considers a home and an area that she will be moving to in December 2011. She is planning to move to Edmonton to take up a fellowship at the University of Alberta that is in the process of being approved. At the University, she would conduct research that focuses on a comparative history of engineering techniques in bitumen extraction. “I then moved to the north side of the riding a year later, when I got a job as a journalist at the Edmonton Journal. That journalism job was crucial to my career because the Journal gave me the by-lines I needed to move on to the Globe and Mail a year later, where I won a national journalism award,” wrote Ms. Petrunic. Mr. Arab managed the campaign of the area’s Public School Trustee Sarah Hoffman in October 2010. In the recent federal election, NDP MP Linda Duncan received 45% of the votes in the area compared to 50% for Conservative candidate Ryan Hastman. The fresh contacts, new donors, and sign locations gathered during the federal vote could help boost the campaign of already nominated NDP candidate Marlin Schmidt. “The combination of Linda’s decisive win in the federal election, the Liberals’ flagging fortunes, and Hugh MacDonald stepping down have created an excellent opportunity for the NDP in this riding,” said Mr. Schmidt. Other parties are also keeping their eye on Gold Bar. 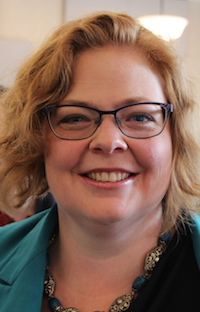 “Judging by history I feel that Gold Bar voters, some of the most active in the province, will choose their next MLA based more on personal qualities than party affiliation,” said Leslie Bush, a member of the local Alberta Party constituency association. The Progressive Conservatives have scheduled their local nomination meeting for Wednesday, January 25, 2012. Past candidate David Dorward has said he will take the next two weeks to decide whether he will seek the nomination. Mr. Dorward placed second to Mayor Stephen Mandel in the 2010 municipal election. 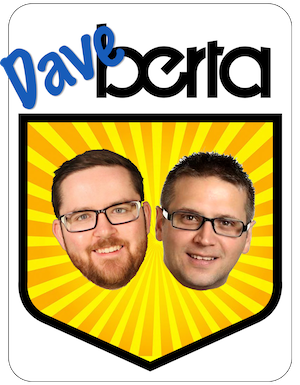 This entry was posted in Alberta Politics and tagged Ben Henderson, Bettie Hewes, Dan MacLennan, Dave Dowling, David Dorward, David Zylstra, Deepak Obhrai, Delmar Hunt, Hugh MacDonald, Josipa Petrunic, Keith Turnbull, Linda Duncan, Lou Arab, Manjit Dhaliwal, Marlin Schmidt, Ryan Hastman, Sherry McKibben on November 14, 2011 by Dave Cournoyer.